It’s time for a shout out to a local favorite of mine. There are a ton of pizza places in my hood and they’re all pretty good, such as Royal Oak, but my regular pizza joint is Great Pizza 2 for 1. Now I’m not saying it’s the best pizza ever but it’s pretty good as far as bargain 2 for 1 pizza goes and it’s cheap, much like myself, good and cheap… Great Pizza, located at 15820 Fraser Hwy in Surrey, has been open roughly as long as I have lived here, 10 years or so. There’s a big Hobart mixer in the back so I’ll assume they make their own crust which is average at best and the toppings are ok too. The cheese is not bad either…but man is it cheap! 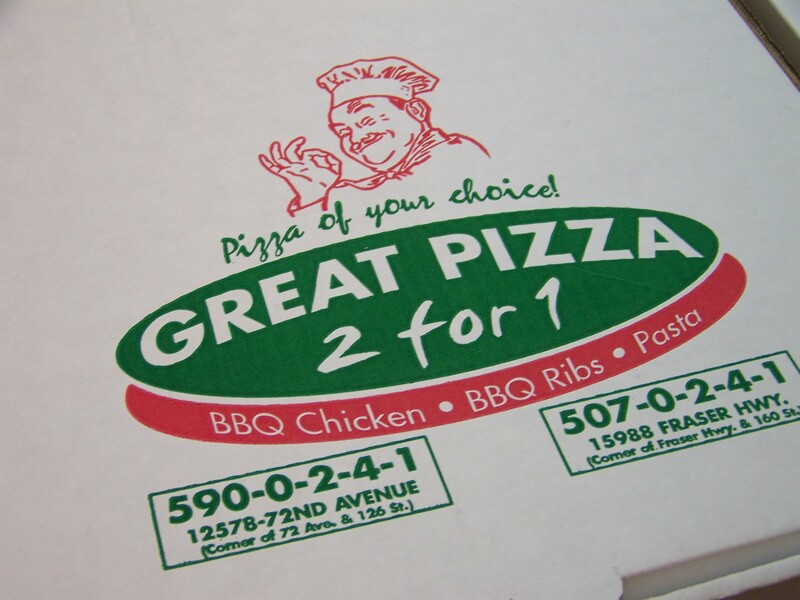 2 large pizza’s with 2 toppings for under $20. 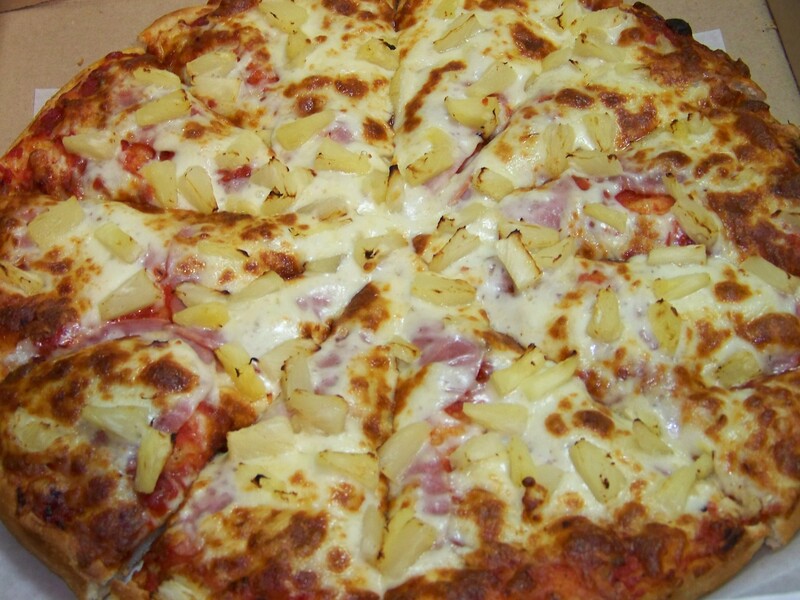 On this particular visit i had a large Hawaiian and a large “Scott Special”, pepperoni and double cheese. Double cheese is actually DOUBLE cheese, it’s about as thick as a magazine!! Their Lasagna is actaully really good and the staff is efficient. There’s one person who I assume is an owner who knows me from day one and always wants to chat about life but if he’s not there it’s hard to get the rest of the staff to crack a smile. 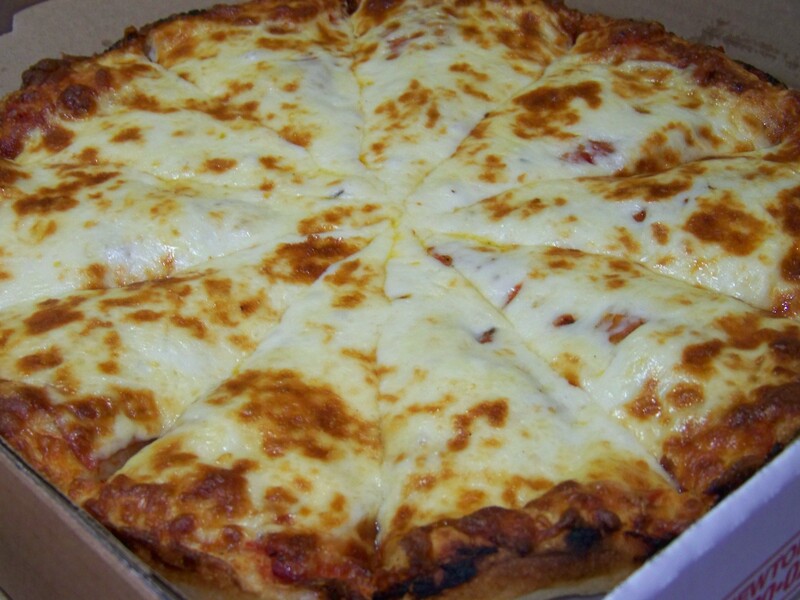 No matter though, I’m not there to chat, I’m there for pizza. If you’re in Fleetwood and need some cheap pizza you can’t really go wrong with Great Pizza 2 for 1, especially if you’re drunk and wandering the streets which is perfectly safe despite what you’ve heard about my fair city.